If you haven’t read Part 1 and want to go through it before scrolling through this post, click HERE to have a look! Classic Japanese’s definition of cookies, filled with mouth-melting chocolate. This definitely reminded me of my childhood favourite: Hello Panda! I love how the cookie part was crunchy and actually quite easy to break due to its surprising thinness, but without being too soft. It was cooked just right. 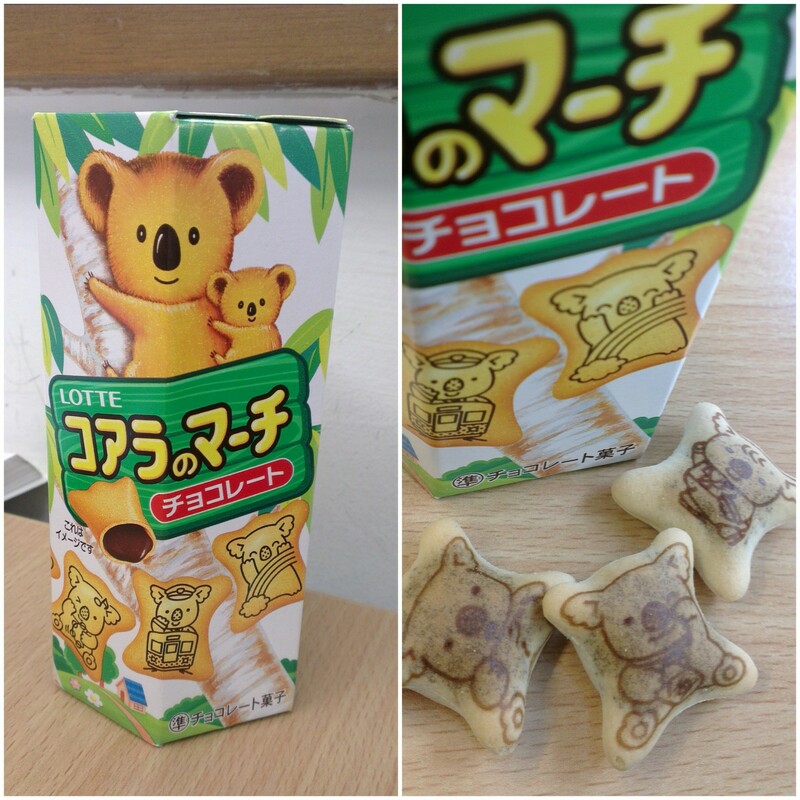 The chocolate was as enjoyable as one would on biting on any Hello Panda cookie. It might be because the NBC series Hannibal has started, that makes me want to indulge in exclusive fancy/expensive foods (last year was berries). (Because Japanese foods are pricey in Malaysia T.T except the Daiso quality ones haha). It might also be because I want to explore another dominant aspect of Japanese culture, knowing that I’m still especially completely in love with Japanese food, and the fact that the more I dived into the semester, the less time and thought I put into cooking, so I only ended up repeating the same easy recipes I had learnt (busy and heavy university life, guys). 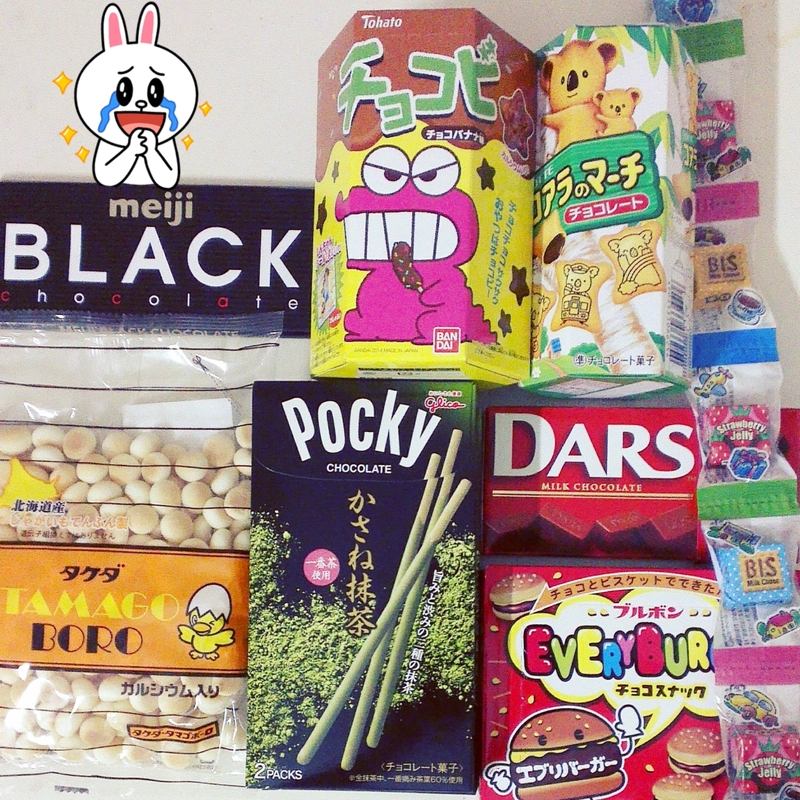 Anyway, on one evening, about one hour before the shops would close, I had a crazy Japanese snacks shopping spree! The stores I went to were the famously Japanese shop, Shojikiya, and the typical AEON supermarket. By the time this post is going to be published, I would have tried all of them and therefore, now, I am going to review every one of them down below! After months of an internal conflict between watching the movie ‘Lucy’ for psychological curiosity purpose and not watching it because it is based on a scientific myth (that we used only 10% of our brains), I finally gave it a go and YOLO, I watched it, not expecting anything extraordinary. The fourth season of ABC’s television series, ‘Once Upon A Time’, is upon us. If you love modern adaptations of classic fairy tales, this is the cherry on the top of the cake. As you run through each episode, try to identify all of the children’s stories the producers integrated throughout the storyline: it makes a viewer’s experience more interesting. What is also appealing in the series is the contemporary, but somehow still ideal, approach towards gender and socio-cultural issues. I’ve been using Blogger for some months and I was pretty surprised to see such a “dynamic” improvement. First of all Blogger has recently launched a new Blogger interface – new dashboard design. Then came these dynamic views! It just didn’t seem like Blogger. These themes are awesome!